Water consumption on construction sites is a very important matter to consider when planning an up and coming construction project. At Drinking Water Fountains, we supply fountains to construction sites across the UK. We understand the importance of hydration for workers on construction sites and offer short term, high usage fountain hire. We are relatively flexible in our rental contracts as we aim to offer our customers the best possible quote. Drinking Water Fountains understands the needs of our customers and are willing to accommodate you as far as we possibly can. By law construction sites are expected to have toilets, washing facilities, changing room, lockers, rest facilities as well as accessible drinking water. Hydration should be taken seriously and easily accessible water access is needed. 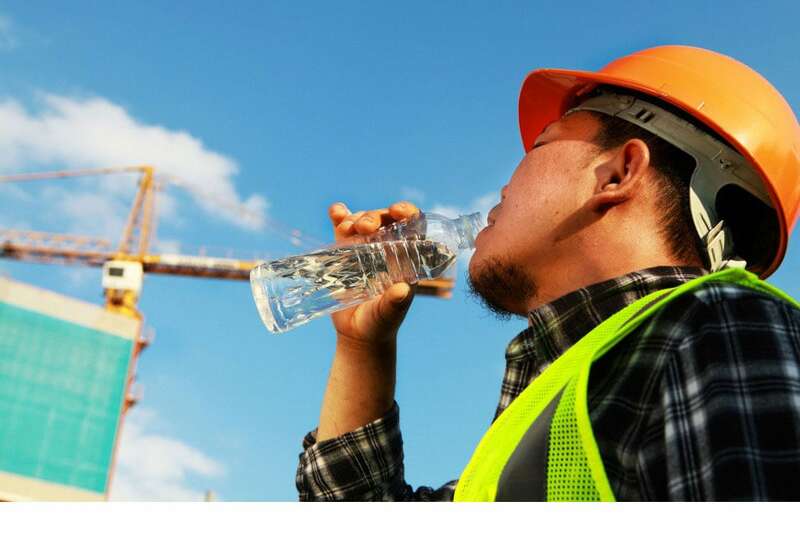 It is imperative that employers also indicate where their employees can drink water versus the areas they should avoid. This is due to some water mains leading to contaminated water. We work really closely with construction companies, surveyors and architects in designing plumbed-in drinking water solutions for large buildings. We have thus installed various fountains and bottleless water coolers in construction facilities across the UK. It is important to note that installing a plumbed-in drinking water solutions is a process. There are various steps we need to consider before deciding what hydration solution will best suit the building site. If you are interested in our construction drinking water fountains or any other products or services, please do not hesitate to contact us on 0845 500 4455. Alternatively, you can fill in our contact form here with your queries and we will call you back.